​Tell me your age, where you're going to school, and what you're majoring in? My name is Jaskirat Kaur. 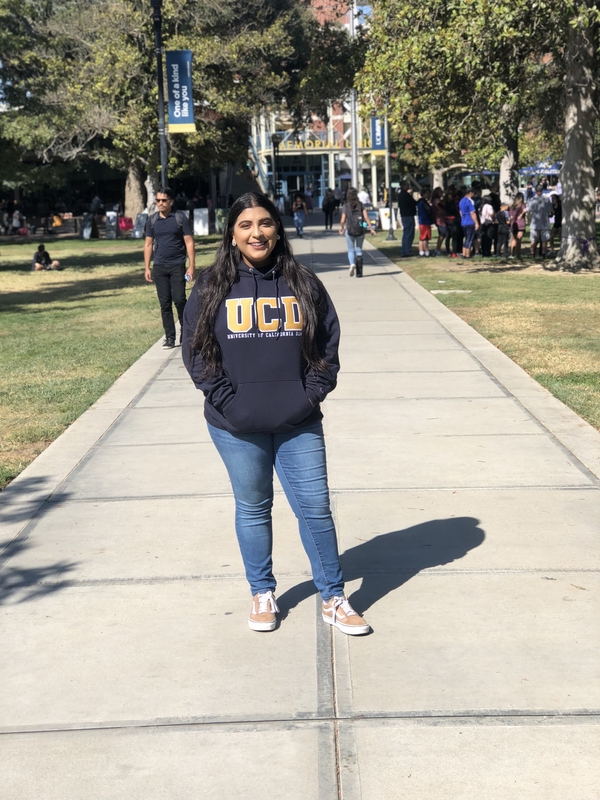 I’m 18 years old and I just started my first semester at UC Davis in September. I plan to major in biochemistry and molecular biology. How did you find out about the All-Star Scholarship? During my senior year of high school, one of my classes was called AVID. It was a class that focused on researching scholarships and what colleges are about – the goal was for us to apply for scholarships. In that class I landed on the UMPS CARE scholarship and thought it was a perfect fit. Can you talk a bit about what this scholarship means to you and your education? This scholarship means the world to me! It’s motivating for me to know that someone believes in me, someone believes in my future and my ability to get my degree. Someone is looking out for me, someone is there to help support me in my education in college. My true appreciation goes to all of people involved in UMPS CARE. Without this scholarship I would be so stressed. I would not know if I could afford school – being someone that doesn’t have both their parents’ support is tough. 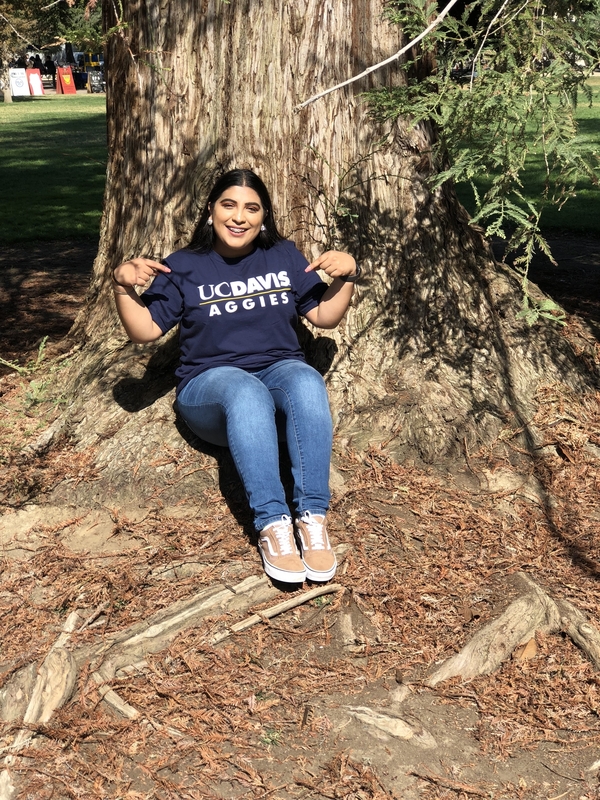 Why did you choose to go to the UC Davis? Did you look at different schools? I really wanted to go to UC Davis so I applied last November. When they sent out the results, I did not get accepted. I was debating which other school to go to and settled on the University of Pacific in Stockton – which is private and a lot of money. I was scared because I didn’t know the school, didn’t know the city, didn’t know anyone. I was really sad and wondered why I didn’t get into my dream school — what those other students had that I didn’t. My family suggested writing to the school to ask them to take another look at my application and to consider giving me a chance. They suggested I try and apply again and I said why not! I asked a lot of people in my life for letters of recommendation – from my lawyer, social worker, teachers, and volleyball coach to show the school who I am. I kept emailing all of the UC Davis admissions staff, but I didn’t stop there. I emailed the whole Biology department telling them my desire to join their program. I wanted my message to be clear; my tactics may have been wrong but I wanted it so bad. Finally, a biology professor emailed me back and said they really loved my letter, that it was truly inspiring and courageous, so they were going to send it to the head of admissions. I finally got the answer I wanted on June 22. I looked at the email and I could barely believe it, I would be attending UC Davis this fall! Tell me about your family... How old were you when you were adopted? I was 12 years old when I was removed from my home. There was abuse in my house and it was very hard for me. My mother downplayed it because that’s what we do in our culture — but I would not. I was the one who told my school and my social worker; I told them I wasn’t safe. I didn’t think that saying those words would get me removed from my house but I’m truly glad I did it. It’s very hard as a kid, deciding what is right and wrong and weighing the impact of that. My parents didn’t think we would go into a foster home, but we did. My family loves each other and we are close with my extended family so it was hard for everyone. It was very hard for my younger brothers who didn’t understand. My brothers were crying because they missed my mom and didn’t like the foster care food and home — but I had to show them I was strong. Eventually, my mother’s sister adopted us and we lived with her and my grandparents. She didn’t care how far we had to drive to school, she put family first and it really helped in our healing. I have a relationship with my mom, but not my dad, not yet. Do you feel that being adopted gives you a different perspective on life than your peers? Definitely. Everyone has a background story. I now truly know you can’t judge a person by their appearance or any single interaction. You have to get to know the person and what they’ve been through. Never in my life did I think I would be in foster care and get adopted. I am not under my parents, I’m under my aunt. It was an adjustment, a shock. Not many kids get adopted either, which is the sad part. Is there anything else you want people to know about you or your experience at school? People need to understand that you should always keep fighting for what you want, keep pushing. Just because one door is shut doesn’t mean the other door will be shut. You should never ever give up on achieving your goals. In the end, I got into my dream school. My hard work paid off. What is your plan to accomplish during school? My first goal is to get used to college life! The biking community is huge and that is new to me. I now bike EVERYWHERE. I also want to make some friends and establish a sense of stability in my dorm and classes. I will apply for some clubs that interest me, that will help me move forward in my career, and help with my self care. I would like to hopefully be finishing my residency. I would like to become a doctor and work in a hospital. I was stuck on being a pharmacist when I started this process, but I realized I got into this school and got this scholarship because people believe in me. I should go to college and achieve my dream so — I said go big or go home. I want to be a doctor and directly help people. My future dreams include buying a house for my mom and doing something big like creating a foundation or a scholarship, something out of my comfort zone. Tell me your age, where you're going to school, and what you're majoring in? I am now 19 years old. I am going to Appalachian State University in Boone, North Carolina. My intended major is nursing. I found out about this scholarship from one of my high school teachers. He helped me out with a few scholarships. He told me to go online and dig deep to try to find scholarships that revolve around adoption, and it paid off. 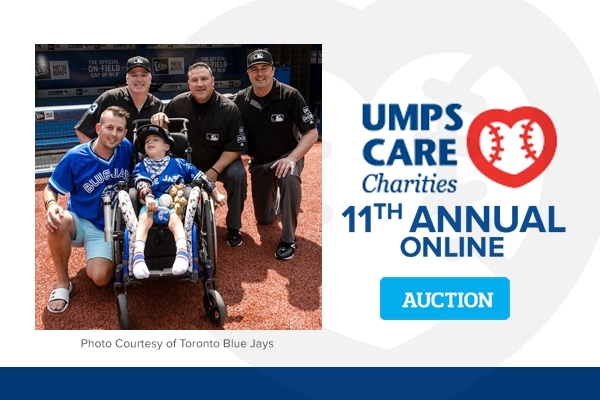 I found the UMPS CARE scholarship and am glad I did! This scholarship means that I am able to go to college this year. And I will be able to go for the next four years. It’s a big deal! For my education, it means that I do have a chance to go forth and try to become a nurse, it’s a really big for me that I’m able to get an education past high school. Why did you choose to go to the Appalachian State? Did you look at different schools? I chose Appalachian State for its location. I looked at Chapel Hill and NC State, but app state is close to home and has so many outdoorsy things, which I love. 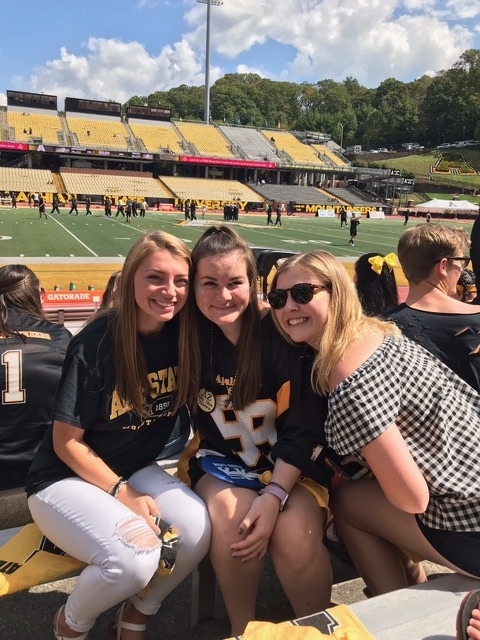 Another big reason [I chose Appalachian State is the], the nursing program is very competitive but it has one of the highest passing rates, so if you do get in to the nursing program, there is a huge chance that you become a nurse. I also like that the town is relatively close, so I can walk downtown. I like how outdoorsy you can be around here. I recently got into mountain biking, which I now love! It has. It’s a cold location, which I knew and it is one of the reasons why I chose it. The biking, the hiking I’ve been able to do it all. The school has a lot of different clubs which is overwhelming with all my classes, I haven’t been able to do as much I want but plan to get more involved this semester. I plan to join SNAAP, which is a nursing club on campus. If you have your CNA (Certified Nursing Assistant) you can go and volunteer for community work and join SNAAP. I’ve also enjoyed the football games. They are awesome! I’ve never been to one before, and it’s all I thought it would be. The community is really great, super nice. Everyone is so polite. It has been difficult at times. Being completely independent and being way from home have been a challenge. …. having to learn ​about how to cook, think wisely for myself. I need to be self sufficient, getting to classes, getting up on time, which I was before, but now there is no one to fall back on. That’s the most difficult thing. What has been the highlight of your first semester? Spending time with friends, being able to find myself a little more as I am outdoors, going mountain biking. Just being supported by friends and family during this transition. Tell me about your family....How old were you when you were adopted? My family is awesome. We have a much better relationship since I went to college. It makes me realize how grateful I am to have a family. I was adopted by my aunt and uncle when I was 15 year old. I wasn’t that close with them growing up because we didn’t live in the same area, but I did love them as aunt and uncle. I lived with my grandparents for a while, and we moved a lot. I did not know my aunt and uncle would be my guardians until later, so the whole experience has been a transition. Now that I have been away, I am extremely thankful for the family I do have. We have a great relationship and I have a greater sense of appreciation. I have a little sister who is 17 years old. My aunt and uncle have 3 little ones, Ruby (3), Abby (10) and Logan (7). I recently started connecting with her more which has been great. It was difficult being adopted at an older age, there was a lot of transitions. I do believe it has given me a different perspective on life. I’ve been through different things that some of my peers have not had to go through. Everyone has a different life, I understand that, but I see that [my peers] aren’t as appreciative of their parents…. having their biological parents comfort them. It’s something I envy. I realize I am living a different life. Sometime they take for granted the simplest acts of kindness from their parents. I am very thankful for every little thing that has ever happened in my life because it has brought me to where I am right now. It has made me realize how I need to be thankful for every single day. My advice to others, don’t give up. Even where there are rough days, rough hours, there will always be something better that happens. Something good will happen. Push through it, stay motivated and keep going. I plan to have the best grades I can and to get into the nursing program. I hope to be active in the community and the nursing club. 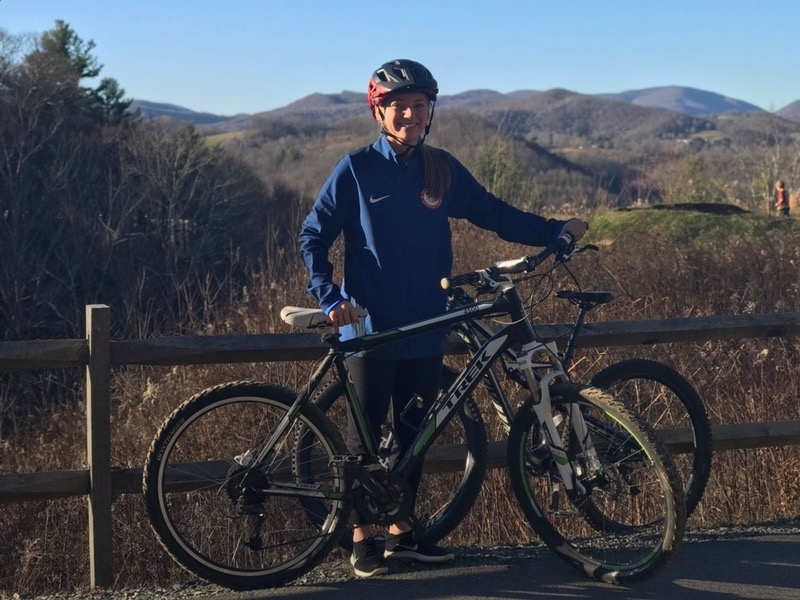 I also want join the mountain bike club and stay involved in what the community has to offer! I want to have a stable life. I want to be full of joy and happiness and to have a secure job as a nurse, and hopefully own a home. I would love to have a house and hopefully be married and start my life. Right now, I think I want to be a heart nurse in the cardiovascular department. Tell me your age, where you're going to school, and what you're majoring in, if you've decided. I am 19 years old. 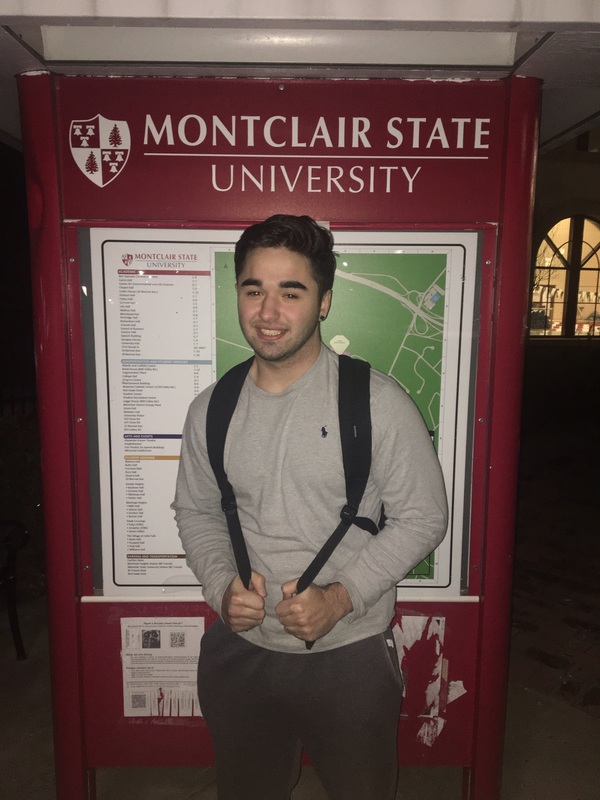 I am attending Montclair State University in Montclair, New Jersey. My plan is to major in Finance and minor in either Marketing, Business or Management. I hope to achieve academic excellence and work in New York City after I graduate. I want to learn in depth how businesses run from a corporate standpoint. I already have an idea of how businesses operate on a smaller scale as I started my own landscaping business. Why did you choose to go to the school you are attending? I chose Montclair because of it’s location. It is close to New York and has the most opportunities for business for the type of business I want to focus on. My brother also attended Montclair and he now lives and works in New York, so it was nice to have him close. I also chose Montclair because it has a brand new business school. It was just far enough away from my family that it felt like I was getting a fresh start, but still close enough for me to see them when I want. I enjoy meeting new people and making new connections. I have also enjoyed challenging myself in ways I haven’t before. I’ve tried to put myself in situations where I’m not 100% percent comfortable because I feel I can grow. I came to school where I knew zero people and it gave me a new start and it helped me grow. I found out about the scholarship with the help of my case worker at New Jersey Family Care or NJFC. I was searching for any sort of scholarship that would meet my needs because I knew I needed scholarships to attend this school. It means I can go to school! Without this scholarship I don’t know what I would be doing. I’m not sure this semester would have happened. I have this scholarship and one from the NJFC. There was a delay with the one from NJFC so I wouldn’t have been able to afford school in the slightest. Getting this scholarship made me feel like it was possible to make my dreams happen…that I could work additional hours and get it done. I was 12 when I was adopted by my aunt and uncle. To be honest, my siblings really serve as my support system. They are who I go to if I need anything, they almost serve as my parents. Do you feel that being adopted gives you a different perspective on life in general? Being adopted no, but I believe my experiences before that and even now give me a different perspective. I think it made me more mature and gave me drive. It helped me because if I hadn’t been through what I’ve been through I don’t know if I’d have the outlook or ambition I have now. Congratulations to Logan Decker, the recipient of the 2013 UMPS CARE Charities All-Star Scholarship. Below is a brief interview with Logan. First off, can you tell me your age, where you're going to school, and what you're majoring in, if you've decided? 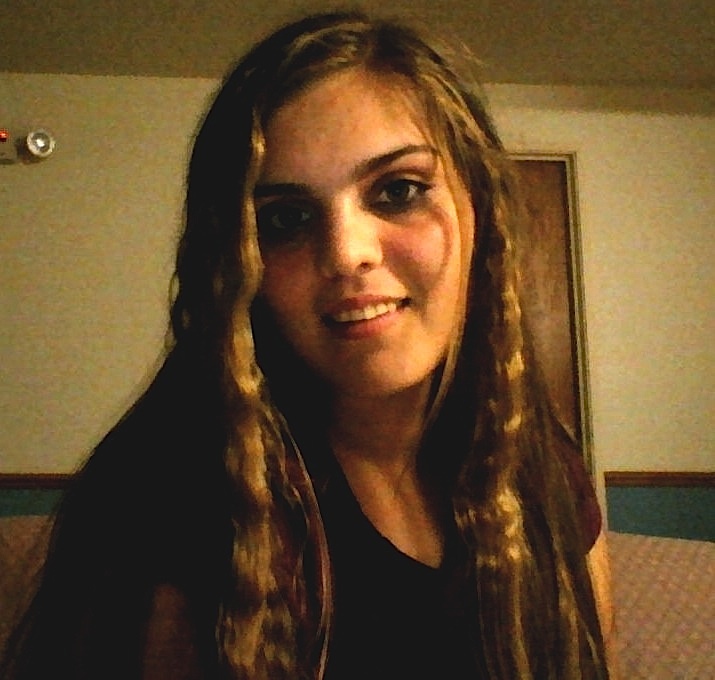 I'm 19, going to school at Maranatha Baptist Bible College, in Wisconsin, hoping to major in nursing. How are classes going so far? They're going well. I have to take chemistry and I have to take A&P1 [anatomy and physiology]. Whether I get in the nursing program is dependent on my grades for this semester. I have to make it through the first year then apply for the nursing program. They check my grades and will interview me. Can you tell me a bit about how you found out about the scholarship program? Actually, my mom was reading a flyer from the state and she saw it in there. She said, "Logan, you can apply for this." I stayed up late that night, filled out the applications, and wrote what I needed to write. I sent it rush in the mail so we could get it out in time. Can you talk a bit more about what this scholarship means to you and your education? It means a lot - it got me here. I was praying for help with finances, because I didn't know if Maranatha was where God wanted me. When the scholarship came in, I knew this was where God wanted me. Getting this scholarship means me being here. Can you talk a bit more about your parents? How old were you when you were adopted, and what is life like with them? I was adopted at almost 18, just before my 18th birthday. At first, life was challenging. I grew up in a different lifestyle where my birth mom wasn't really in charge. She wasn't really a motherly figure, she was more on a friend level. I was used to being in charge a lot. That all changed. Now I really appreciate my parents and their structure and their love. I can tell that they love us - they give us boundaries and keep us in that so they can keep us safe. I appreciate that so much more than a lot of people do these days. It shows they really love us. You say "us" in that answer; who is included in "us"? I have two other siblings. My brother Chris was adopted first by my parents, then me, then my other brother Noah. The Lord kept knocking on their heart and I think the third time the state asked and they said yes. I do, I really do. I feel like because I went from having nothing - I was just kind of supporting myself, feeling like I didn't' have a mother or father figure. My mom was more of a friend. Having the past that I do has definitely made me the person I am today. It's given me a desire to be able to help people in any way I can. I'm hopeful that I make it into the nursing program, but even if I don't I want to help people. I want to show people the love that in a sense I didn't get when I was younger but my parents give to me now. 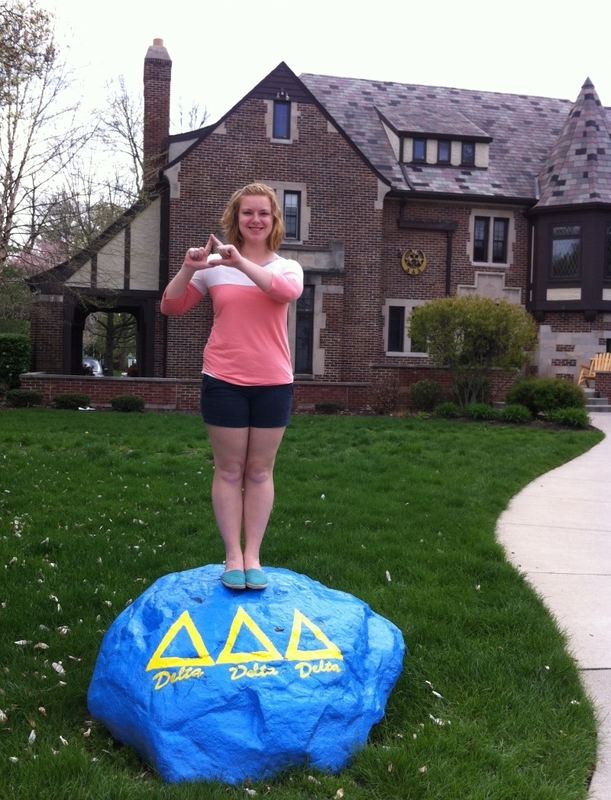 I'm Cadence "Zoe" Cottom, 20 years old, at Butler University in Indianapolis, IN, and majoring in pre-pharmacy. I have had a few issues adjusting to the course load that comes along with being a pharmacy major, but I try not to let it get me down. I unfortunately have to retake Organic Chemistry this summer if I hope to get into the program. It's been a lesson learned and I look forward to overcoming my previous failure. My mom actually found out about the scholarship and encouraged me to apply. After reading the description of the scholarship, I realized it fit me perfectly. Pharmacy schools aren't very abundant in the mid-west. Because I also qualified for 21st Century Scholars, I was limited to universities in Indiana. This left me with Purdue and Butler. 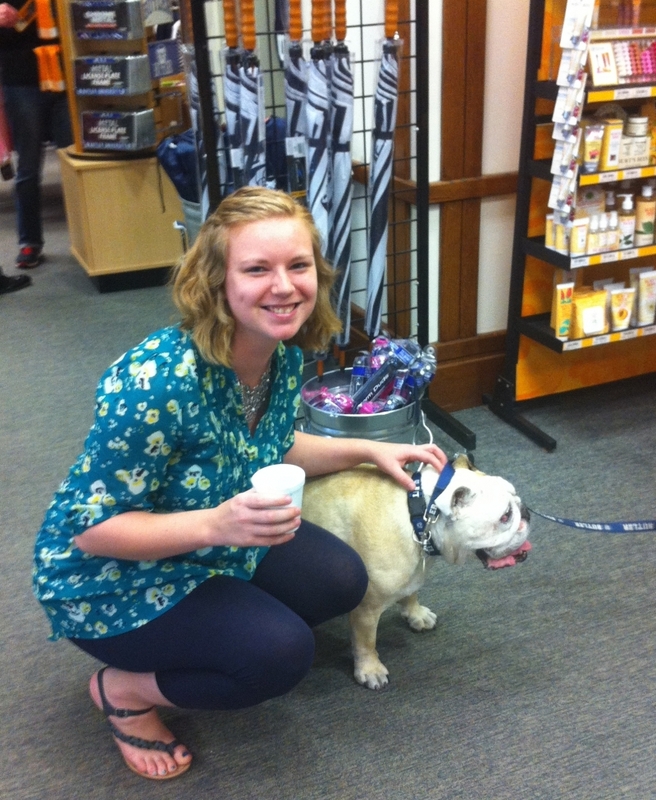 Butler had been my dream school since 6th grade. I love the smaller class sizes, the beautiful campus, and the personal attention the university gives students. Unfortunately it is an expensive private school. This scholarship is the only reason I am able to fulfill my dreams and attend Butler. I am constantly thankful to have this opportunity because of UMPS CARE. Tell me about your mom....How old were you when you were adopted, and what is life like with her? My mom is a retired elementary teacher. She was my foster mom from when I was 9-13, at which age she adopted me. The first night I stayed at her house, she sat by my bed while I cried myself to sleep. 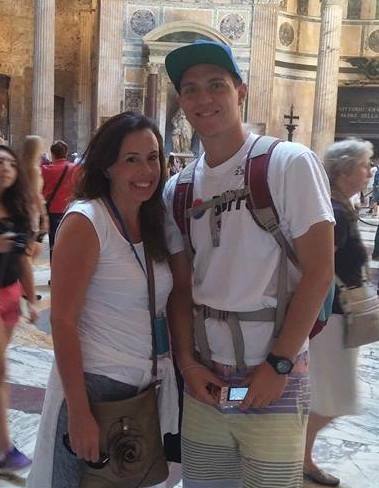 She has supported me in all my endeavors, she's made many sacrifices to get me where I am, and she is my best friend. I don't know what I'd do without my mom because she is my rock. Being adopted definitely gives me a different perspective. I didn't have a 'normal' childhood like a lot of people. I didn't have the luxury of just being a child - I had to quickly grow up and take care of myself. But my mom saved me. She helped shape me into an amazing, strong woman. She provided me with a loving family and a million opportunities I never knew existed. I appreciate life more than a lot of people my age. I have seen some of the worst sides of life and I've overcome some hefty obstacles. But I consider myself lucky for having been through what I have because I know the value in working hard to get what you want. I've never had things handed to me and I know that has made me a more independent woman, and for that I am truly blessed. First off, can you tell me your age, where you're going to school, and what you're majoring in? 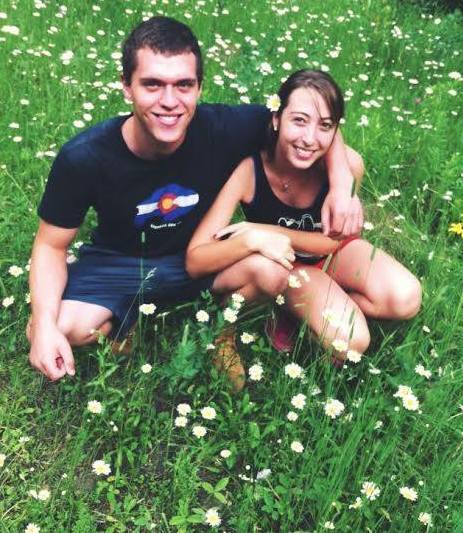 I am 22 – and I currently attend the University of Colorado at Boulder. I am majoring in Environmental Design with a minor in Business. Environmental Design is a broad major but my focus is architecture, specifically architecture with an emphasis on sustainability. For example, I would focus on not only the structure of the building but also the impact it has on its location. My social worker found it through some research and I am fortunate she did. This scholarship has had the largest impact on my life out of any help I have been given. It has made it so I haven’t needed to take out student loans. I wouldn’t have been able to follow my dreams and afford college without this scholarship. It relieved a lot of stress I had. Why did you choose to go to the University of Colorado at Boulder? Did you look at different schools? Josh with his Grandfather Having grown up in Boulder I looked up to this school, literally. It has always been an aspiration of mine to go here. There was no question in my mind where I wanted to go, but I wasn’t sure if it would be possible. When I was looking at colleges my aunt (now my adopted mother) had me apply to Colorado State University as a fallback in case I couldn’t get financial help. I am glad to say this scholarship helped me attend the school I have always wanted to. Yes. It has opened my eyes to education. I think knowledge is a great tool. It is how I am going to break the trends within my own family and make a name for myself hopefully. This isn’t the end of the road for me, I know I eventually have to go to graduate school. Not really. I stay focused on my academics. My major is a very arduous program. I have also found some support through the Guardian Scholars program. That is a program for students who were in the foster care system. We meet up and have dinners together, study together. It is a very welcoming group. 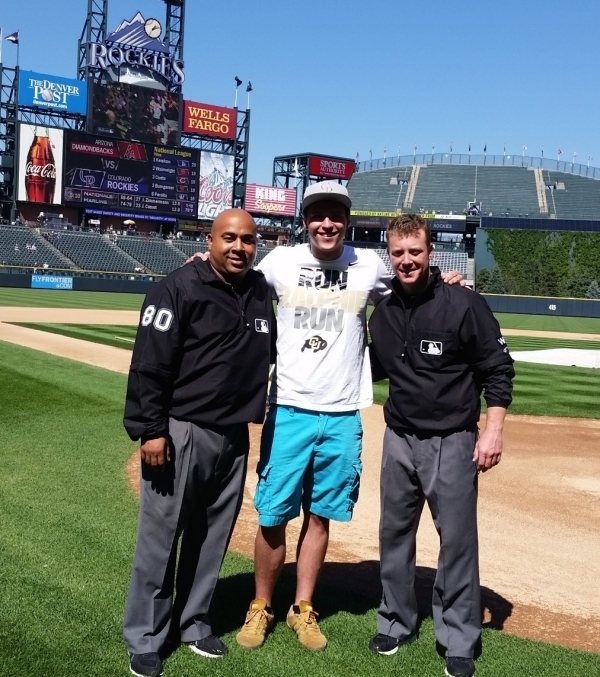 During the 2014 Baseball Season MLB Umpire Adrian Johnson hosted you at a Rockies Game. What was that like? I had never met an umpire before. Attending the game, getting down onto the field and in the umpire room was one of the coolest experiences of my life. My friends and I had a great time, the entire crew was very welcoming. Two days later I saw Adrian on ESPN breaking up a fight, and I thought – hey that’s my boy! Tell me about your family....How old were you when you were adopted, and what is life? I was 17 when I was adopted. I have two younger sisters, Brianna and Hannah. One is a year younger and one is a junior in high school – 5 years younger. She lives with our mom. My aunt, my mother’s sister, adopted me, I was very close to her growing up. My sister and I were in and out of the foster care system a couple of times until our aunt adopted us. I am close with my middle sister. She is going to the University of Boulder as well, following in my footsteps because she sees college can change your life. This is something that is important to know, especially for those of us who have been in the foster care systems and who have siblings, we have an opportunity to be a role model for younger sibling it has a much greater impact than just me. Yes. My experiences in general offer a different perspective. I am more mature and can be more serious at times than some of my classmates. I had to grow up a little sooner than a lot of my friends so I definitely take things more seriously. I think foster kids in general have a unique perspective on life. It is so important to provide us with a good education so we can make positive changes. I know a lot of other people that were in foster care want to make a difference in the world. If you don’t dream big you wont have a chance of making a change.